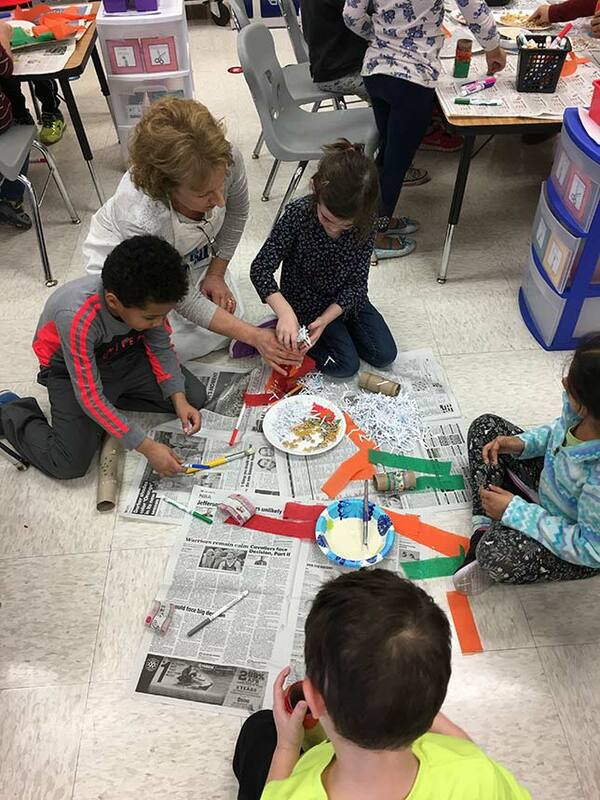 In Loudoun County, VA, kindergarten students designed the games and toys used to stimulate the minds of orangutans in a zoo halfway across the country. Middle school students secured a historical marker for a local landmark that was instrumental to African American history. And high school students advised state leaders how they could use de-icing materials on roads and bridges that are less harmful to the environment. In Kankakee, IL, some middle school students have become aviation engineers, designing airplanes that can fly the farthest or fastest. Others have taken on the role of restaurant owners, planning a menu and writing ads or producing a website for their business. Loudoun County Public Schools and Kankakee School District 111 are approaching project-based learning (PBL) in very strategic ways as part of a system-wide effort to support clearly defined instructional goals. While the goals themselves are different in each case, both school systems have seen higher student engagement and deeper learning by using PBL with a purpose. Their keys to success include articulating a vision for instruction, giving teachers a structure for creating dynamic projects that advance this vision and providing training and other support. Kindergartners in Loudoun County work on games designed to stimulate the minds of orangutans. In Loudoun County, PBL is used to support the school division's "One to the World" initiative. When Superintendent Eric Williams arrived in Loudoun County four years ago, stakeholders were discussing whether they wanted to implement a one-to-one computing or a "bring your own device" program. Under Williams' direction, Loudoun County leaders reframed the question to focus not on the technology but on the kind of teaching and learning the devices would enable. With the help of community feedback, the school division developed a new mission: to empower all students to make meaningful contributions to the world. Loudoun County leaders also created a profile of their ideal graduate: They wanted to develop knowledgeable critical thinkers, communicators, creators, collaborators and — importantly — contributors. "Project-based learning is a strategy," said Williams. "For us, it's a means of putting authentic, challenging problems at the heart of teaching and learning." These authentic problems give students opportunities to contribute to the world. For instance, middle school social studies teacher Jay Dodson challenged his students to answer the question: What person or place in Loudoun County deserves a historical marker? Working in groups, the students researched local history using primary source documents with the aid of librarians, then chose a person or place and constructed an argument to support their decision. "Each group of students presented their ideas to local experts, with many students using technology such as iMovie to make a more compelling presentation," Williams said. "Each group had to cite primary sources, making comparisons between local and national history, and also provide the specific text for their proposed marker." 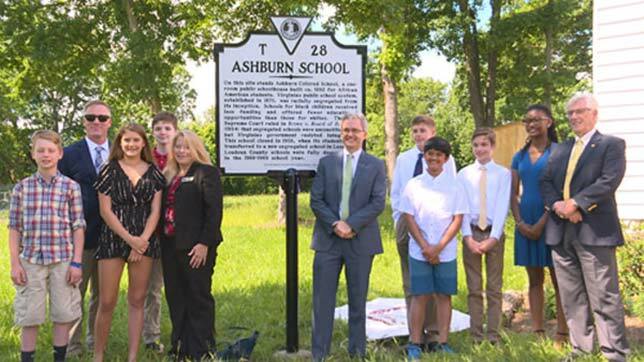 One group suggested placing a marker at the old Ashburn Colored School, which served African-American students in a segregated setting until 1959. During their presentation, the students made connections between Jim Crow laws and the Supreme Court's decision in Brown v. Board of Education. The panel of experts chose these eight students as the group with the most compelling proposal, earning them the chance to submit their application to the Virginia Department of Historic Resources. "They tried not to get their hopes up because they understood that only about one-fourth of all proposals for historical markers are approved by the state," Williams noted. Yet, the students' proposal was accepted — and last June they got to watch as their marker was installed outside the old schoolhouse. Not only had they learned about local history and developed their research and presentation skills, but they learned an even more powerful lesson: that they can make a real difference in the world. A Loudoun County project resulted in a historic marker placed at a segregation-era school. "As an African-American student, it means so much that I have the opportunity to bring this school back into the light," said one student during the dedication ceremony. To provide structure to teachers, Loudoun County is using a modified version of the Gold Standard PBL model from the Buck Institute for Education (BIE) as its conceptual framework for how to design a high-quality project. BIE's Gold Standard includes eight design elements, but Loudoun County has distilled these into four key characteristics: Projects must cover significant content and important competencies; involve authentic, challenging problems; result in a public product; and be connected to the world. "That's immediately a game changer when students have an audience beyond their teacher," Williams said. The school division has teachers attend a three-day training workshop, called PBL 101, in which they learn how to design high-quality products and integrate these into their instruction. Loudoun County has teamed up with BIE to deliver the training, and teachers are expected to try at least two full projects with their students per year once they have completed it. So far, more than a third of the county's 7,000 teachers have undergone the training. In Kankakee — a high-poverty, high-minority school district located an hour south of Chicago — PBL is used to help students learn about various career paths, while also making instruction more active and engaging. "We have a magnet program that has been around for 30 years, and we have a really strong gifted and honors program, but our general education students were not doing as well academically," said Superintendent Genevra Walters. "When I took the job as superintendent, I knew I needed to close the opportunity gap and restructure what was happening in these classrooms." Her solution was to create college and career academy classes for all elementary students. The classes are built around cross-curricular projects that focus on a different career path at each grade level. This year, for instance, first graders are studying agriculture, while fifth graders are learning about the technical fields. "We want students to explore possible career paths by doing what would be required in those particular jobs," Walters said. Beginning next year, students in grades 6-8 will engage in PBL to explore careers related to their individual interests. "That means the teachers are going to have to differentiate what happens in the classroom because students in the same class may have different career interests," she explained. Seventh and eighth grade students in the district's Montessori school have experienced this kind of instruction already, and the district is using this experience to inform its work in bringing this model to other middle school students. Whereas Loudoun County is using BIE's Gold Standard PBL model to provide structure for teachers, Kankakee is using the Defined STEM curriculum from Defined Learning. Teachers can modify and adapt these project-based lessons as needed for their own classrooms. In one recent lesson, students interested in engineering constructed airplanes out of paper and other materials to see which designs would travel the slowest, fastest or farthest. As they experimented with different designs, they began to understand which design elements led to certain characteristics of flight. In another project, students became restaurant owners tasked with planning an executive dinner for 100 people. They had to plan a theme for the dinner, design a menu, set up a table arrangement, produce a cost analysis, work up a quote for the job and develop a presentation to secure the business. They also could choose from among other performance tasks, such as producing a radio ad, TV ad or website to promote their restaurant. The project not only touched on multiple subject areas such as English and math, but it gave students valuable exposure to various professions: chef, business owner, event planner and marketer, among others. To support teachers in moving to PBL, Kankakee will hold a showcase in January. During the showcase, every teacher will have to demonstrate a project they have already done, are currently working on or hope to complete by the end of the month. The showcase is intended to help teachers learn from each other as they try PBL in their own classrooms, Walters said. Using PBL in support of clearly defined instructional goals is paying off for these two school systems. They report that students are more actively engaged and are spending more time on assignments, which is leading to deeper learning. Williams described a project involving two high school biology teachers who asked students to research the environmental impact of de-icing agents that are applied after snow and ice storms. "Instead of just asking students to experiment and write a lab report, they arranged for students to share their thoughts with a wider audience," he said, including local homeowners' associations, reporters, and representatives from the state Department of Transportation. "When the students realized they were going to present the findings of their scientific research to experts in the field and make the case for alternative de-icers, they really stepped up their game." In a video about Kankakee's use of PBL, one teacher described the benefits this way: "The kids are all focused. And they're normally not like that. When they're looking at a book, it's hard to get them to concentrate. I think it's the way to go if we want to get our students ready for real life." And when a Kankakee student was asked what he likes most about learning through projects, he said: "They get your mind thinking."